Works sent by artists from around the world are meticulously documented as high-resolution digital photographs, which will eventually be the last and only images of the original artworks in existence once the project is complete. The curators destroy each piece, leaving the substrates intact. Paintings stripped, photos dissolved, videos deleted, audio cancelled, inks removed. Solvents, chemicals, grinders, brushes, knives, chisels, computer code—anything and everything to clear the way for the QR code. Once the original artwork has been stripped away, photos of the work are uploaded to the Web, and then QR codes are generated to direct users to an online photo of the original piece. These QR codes are placed on the artworks’ substrates. Gallery attendees are presented with nothing but QR codes. 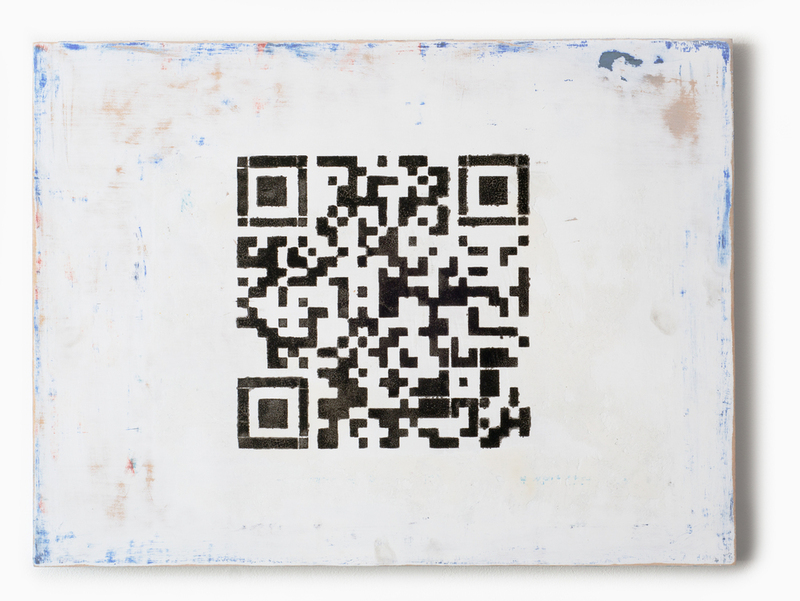 The work, the explanations, the catalog—even the title of the show has been converted to a QR code and can only be read by the intermediary of the handheld device. The original piece is gone, and the QR code is the only access to what remains. Use your smart phone and a QR code reader to see the original artwork.